Happy Fall!! 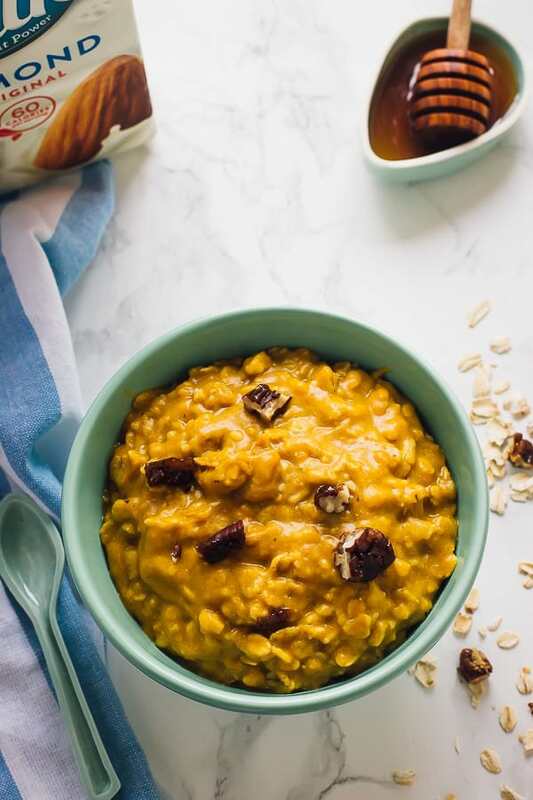 Here are 10 Favourite Vegan Pumpkin Recipes to Celebrate Fall right! They range from breakfasts to dinners to desserts and are all gluten free! HAPPY FALL!! Can you tell I’ve been waiting for weeks to say this?! It’s finally the first day of fall. The season of all things sweater weather, comforting warm drinks and all things PUMPKIN!! No really, I have been waiting to share everything pumpkin related with you. You might know that I share pumpkin randomly throughout the year on Jessica in the Kitchen, but I really get into it once fall hits. That’s one of the reasons I knew I had to do this roundup to celebrate the very first day of fall. Pumpkin is such a versatile ingredient. It can be enjoyed sweet, savoury, and in everything from breakfast to dinner to dessert in a wide variety of uses. Pumpkin is king. I grabbed a vegan pumpkin spice latte before this to get me 100% in the mood to share my 10 favourite vegan pumpkin recipes with you. 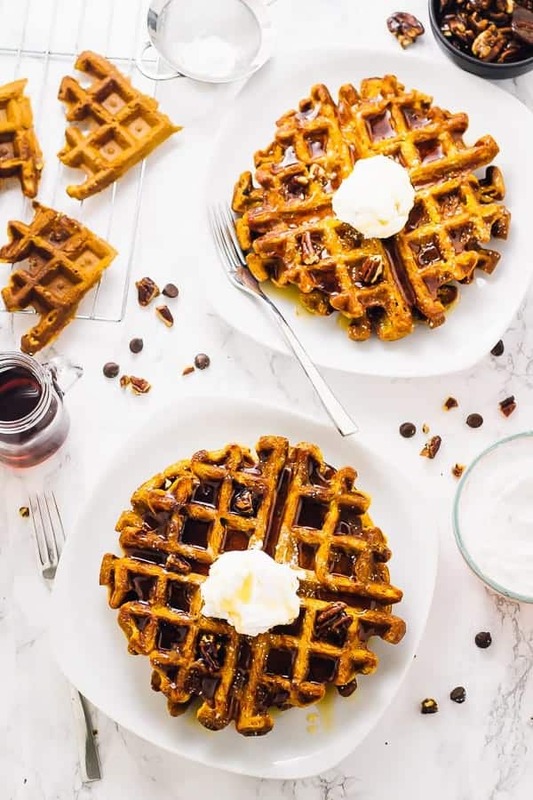 These range across all types of meals, and all kinds of ways, to ensure you get to try pumpkin in so many different ways this fall season. Enjoy, friends! P.S. These recipes are all also gluten free! 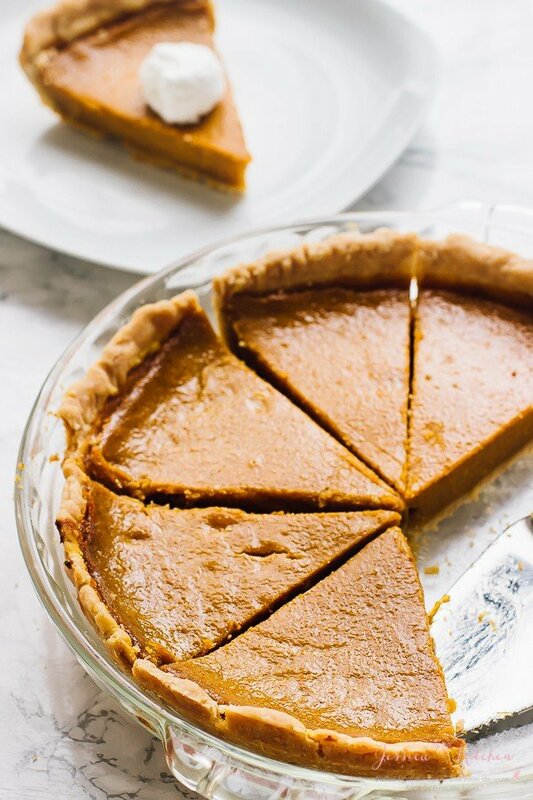 I’ve been waiting for fall to come back so that I can make this pumpkin pie again!! It tastes just like your favourite pumpkin pie and is made nice and thick thanks to coconut cream. The crust is flaky and easy too! You’ll want to share this one with all your friends (or you’ll eat it all yourself!!). 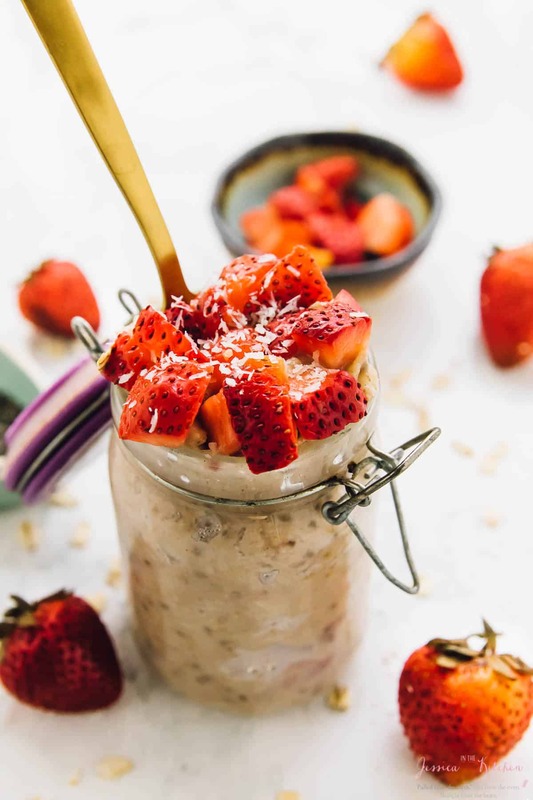 Have you tried overnight oats yet?! Whether you have or haven’t, you need to try this one!! Such yummy pumpkin flavour, it’s creamy and so delicious!! 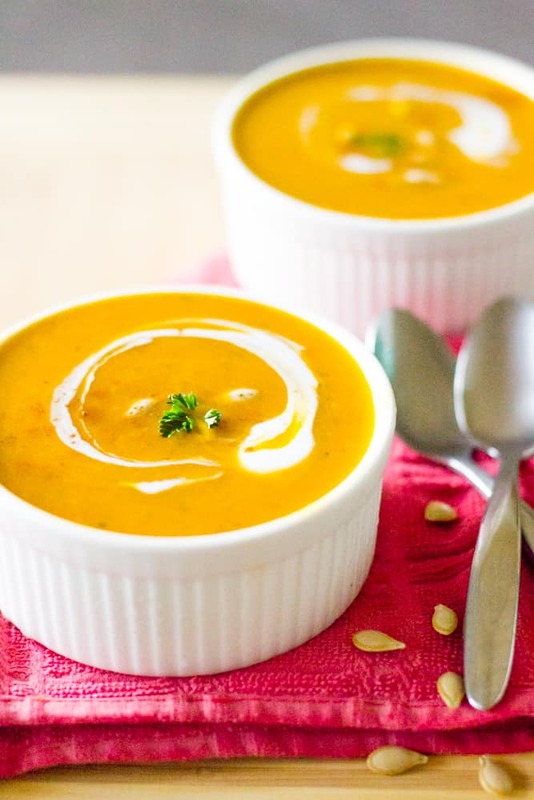 This is my mom’s family favourite and popular pumpkin soup recipe that I know you’ll love!! It has a kick of spice, it beautifully blended and made with love! 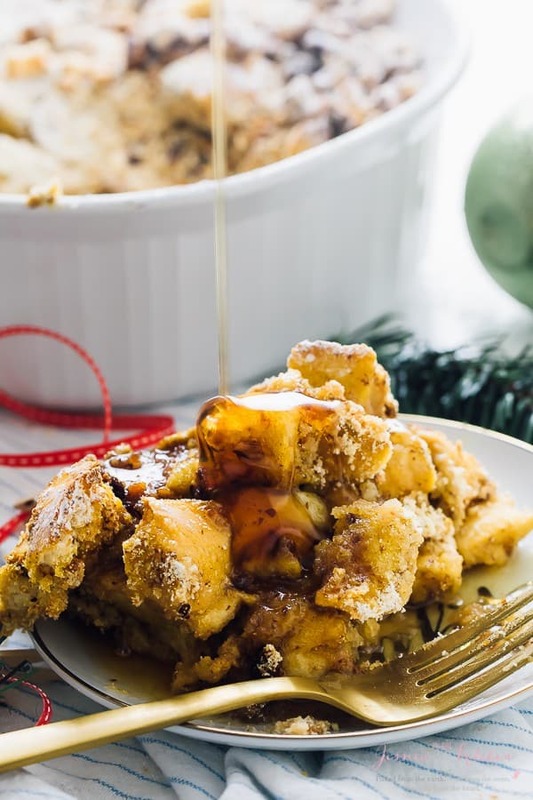 This Overnight French Toast Casserole is just screaming brunch! I love making it on special weekends and definitely for Thanksgiving and Christmas breakfast. The pumpkin adds insane flavour, creaminess and a beautiful colour to it. You need to try this!! These waffles are so crispy on the outside and fluffy on the inside! I love topping mine with candied pecans. 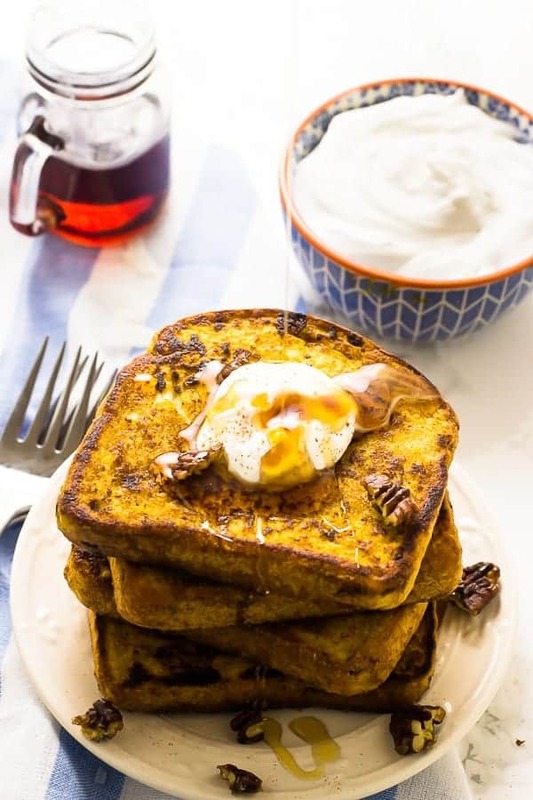 This is a quicker, day to day version of the pumpkin overnight French toast casserole. It’s smothered in divine pumpkin flavour and topped with my coconut whipped cream!! 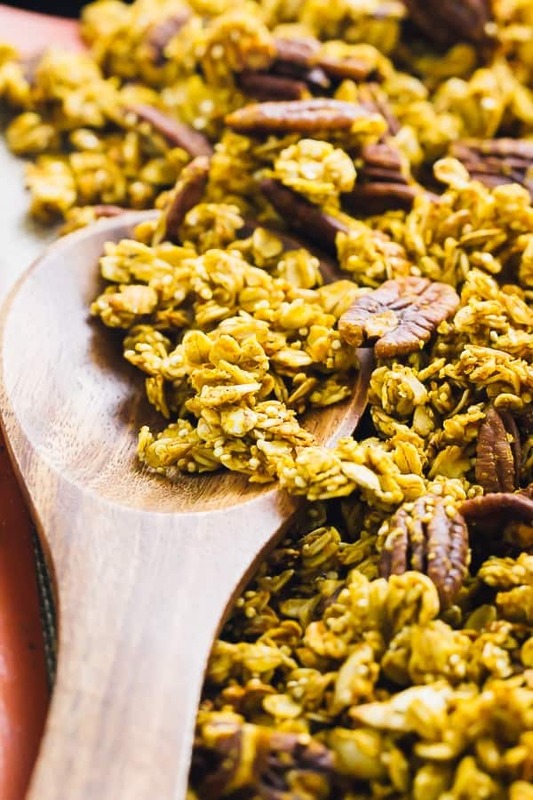 I LOVE this pumpkin spice granola!! It’s made with of course, pumpkin, and pecans, quinoa and a few other divine ingredients. They all come together so perfectly. You’ll want to have this for breakfast and over your desserts for all of fall! 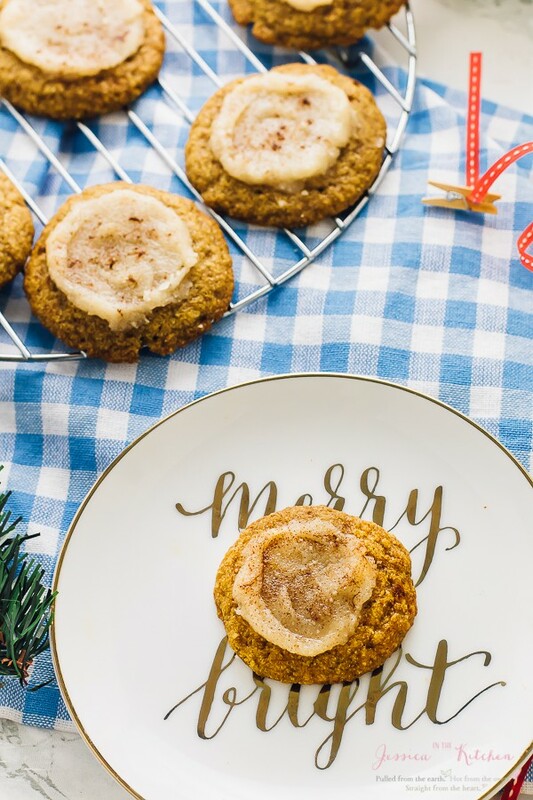 It’s THE cookie season of the year!! These cookies are the base for my favourite cookies. They’re made with a coconut butter frosting too which is, quite literally, the icing on top of perfection. 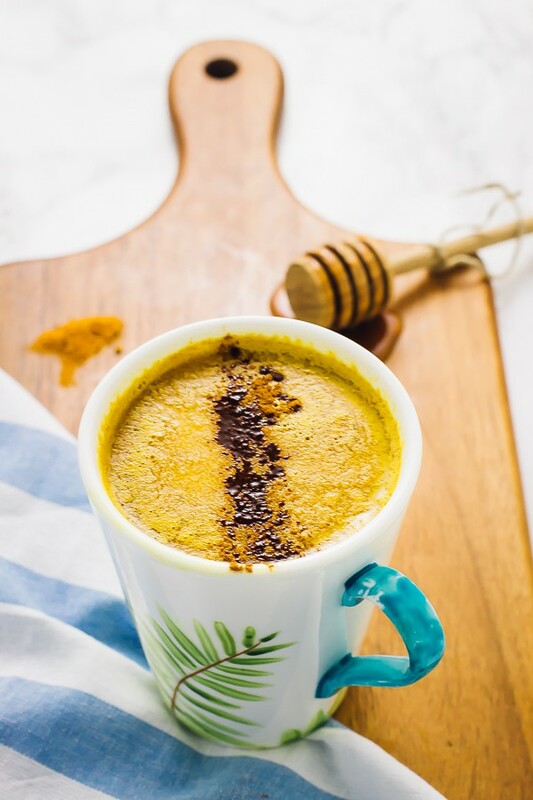 Turmeric Milk is such a beautiful and comforting drink! 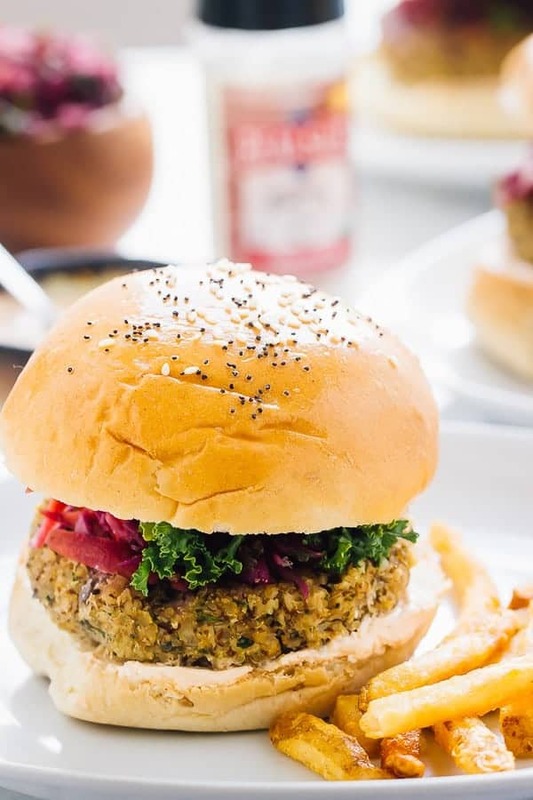 It’s loaded with anti-inflammatory properties, while tasting so delicious at the same time. It’s the perfect alcohol free night cap to get you ready for bed. P.S. – it works beautifully with that Netflix binge. 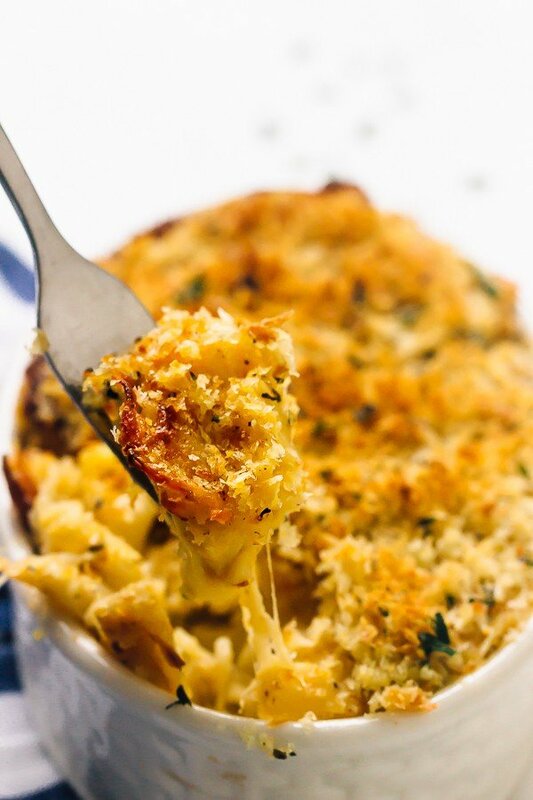 There’s no way I could do this roundup without including a Mac and cheese!! I was surprised at how much I LOVED this Mac and cheese recipe. So creamy, and loaded with subtle pumpkin flavour! You could even add roasted tomatoes or butternut squash to this to make it even better! What’s your favourite recipe? Let me know in the comments below and HAPPY fall! I cannot wait to try the French toast. I don’t normally leave comments on recipes but I just have to say thank you so much for creating easy to follow recipes that aren’t filled with unhealthy and processed replacements that can also be difficult to find. I love being able to look at a recipe and know that I’ve already got most of the ingredients and that there aren’t additional unnecessary steps. I have two young kids at home and I usually have to sift through vegan recipes to see which have the fewest amount of steps. Thank you for doing what you do! O.M.G. I need all of these. Deliciousness personified!!! !